Vivo has this week added a new addition to their range of Windows 8.1 tablets, in the form of the newly launched Vido W8C Freedom Light that is fitted with an 8 inch IPS display offering users a resolution of 1280 x 800 pixels. The Vido W8C Freedom Light tablet is expected to launch for around $97 or 599 yuan and comes equipped with 2GB of memory and 32GB of storage for that low price. 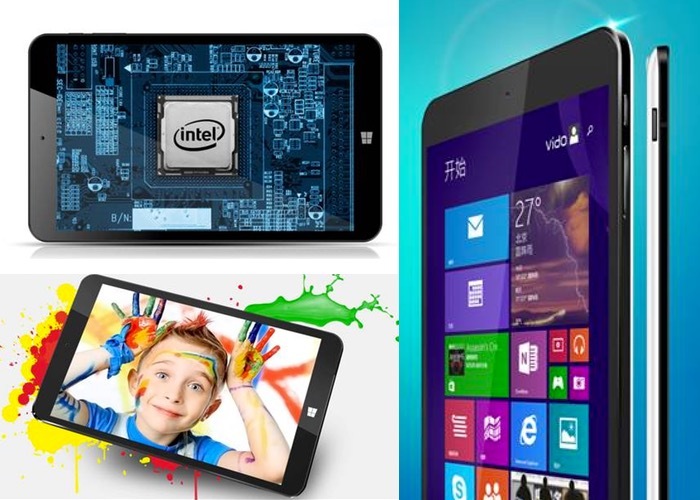 The Windows 8.1 tablet is powered by a Intel Atom Z3735F quad-core Bay Trail processor supported by the already mentioned 2GB or RAM together with a 4200mAh battery. Other features of the new Windows tablet include a handy microSD card slot for further internal storage expansion when required together with connectivity provided by Bluetooth and Wi-Fi. Its also fitted with 2 megapixel front facing camera for video calling, together with a 2 megapixel rear facing for video and photographs. The Vido tablet measures just 0.36 inches in thickness and weighs around 10 ounces. Even though the new Vido Windows tablet is unexpected to be launched throughout the US it is probably going to be available from online stores such as AliExpress And other online retail channels very soon.